The following is a collection of free marketing tools and free productivity tools that will help you in many areas in your business. If you have any others I've missed feel free to leave a comment. I hope you find some value in it. 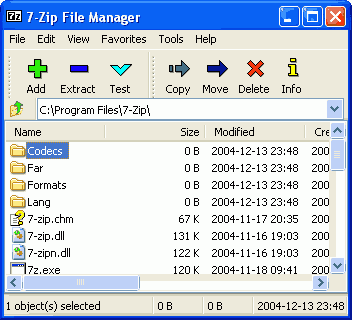 7-Zip7-Zip is open source software. Most of the source code is under the GNU LGPL license. The unRAR code is under a mixed license: GNU LGPL + unRAR restrictions. Check license information here: 7-Zip license. AVG Free Antivirus | Free Virus ProtectionFree antivirus and anti-spyware security software for Windows, Mac, and Mobile. Get free antivirus protection now! ????? Spy on 1000's of your competitors back links. Backlinks Checker Tool – Backlink WatchToday search engine optimization greatly depends on quality of inbound links to increase your serp rank and ultimately increase affiliate or ppc adsense,ypn revenue. Backlink Watch greatly helps you to know every bit about your inbound links. It includes anchor text, pagerank, quality of backlinks by finding total outbound links any restriction of nofollow tag. If you're enjoying this list of free marketing tools, why not consider joining our mailing list. 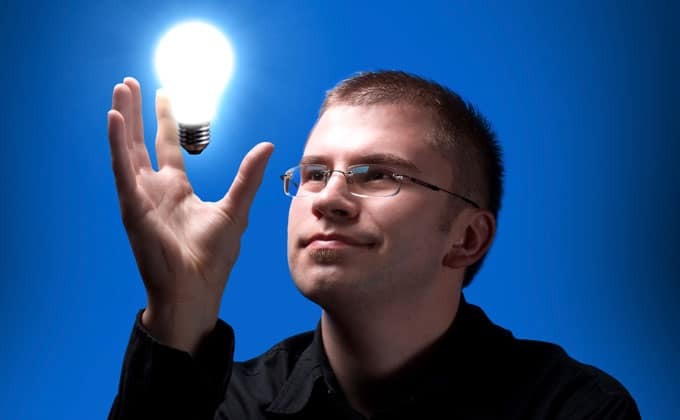 You'll get heaps more free ideas every month to help you grow your business. See you on the inside. CamStudio – Free Screen Recording SoftwareFree Streaming Video Software What is it? CamStudio is able to record all screen and audio activity on your computer and create industry-standard AVI video files and using its built-in SWF Producer can turn those AVIs into lean, mean, bandwidth-friendly Streaming Flash videos (SWFs) Here are just a few ways you can use this software: You can use it to create demonstration videos for any software program Or how about creating a set of videos answering your most frequently asked questions? Find categorized CGI/Perl code, tutorials, and functions for free or paid that you can use on your websites. CGI Resource IndexStarted in March of 1997, The CGI Resource Index now includes over 2,000 resources listed in hundreds of categories! Find that perfect script to make your web site more interactive, whatever your needs may be. 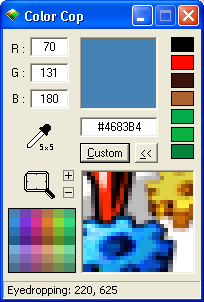 A multipurpose color picker – great for web designers and programmers. A software designed to keep you on schedule with your tasks. Sam uses it all of the time to manage his time. A countdown, reminder, clock, alarm clock, stopwatch, & timer. Cool Timer – Handy, unique, freeware timer for WindowsCurrent version: 5.1.6.0 License: Freeware Please “like” Cool Timer on Facebook. Introducing the all new, sleek and simple Cool Timer. We think it's so cool that we even considered changing the name to “Awesome Timer”. Cool Timer does a lot in just a little space with a small memory footprint, using very little system resources and taking up very little screen real estate. Contains features like SFTP (SSH), SSL, TLS, IDN, browser integration, site to site transfers, FTP transfer resume, drag and drop support, file viewing & editing, firewall support, custom commands, FTP URL parsing, command line transfers, filters, and much, much more – even in the free version! CreateSpace: Self Publishing and Free Distribution for Books, CD, DVDIndependent Publishing with CreateSpace Free and Easy Tools Do-it-yourself and finish fast with tools like Interior Reviewer, Cover Creator, Preview, and Image Gallery. Higher Royalties Place more in your pocket with some of the best economics in the industry. View Earning Royalties video. Reliably check the Public Whois data on any website, as well as Whois History, Reverse Whois, DNS & IP Tools. Whois Lookup, DNS Lookup, Reverse Whois LookupDomainTools provides the most complete & reliable database for Whois, domain name & DNS data for brand monitoring, cyber investigation and domain investing. HomeOn a tight budget? Then this is the option for you. One insanely low monthly fee gets you full access to DupeFree Pro, all the add-on modules and all updates for as long as you remain a subscriber. Get DupeFree Pro and all current and future add-on modules for this one ridiculously low monthly fee! Scan your notes, receipts, etc … it will OCR the content, space it, and make it so that you can search the content. Evernote | Remember everything with Evernote, Skitch and our other great apps.The Evernote family of products help you remember and act upon ideas, projects and experiences across all the computers, phones and tablets you use. 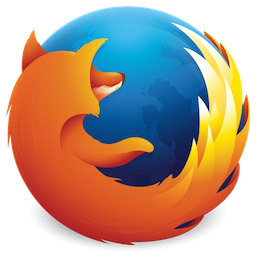 Download Firefox – Free Web BrowserDownload Mozilla Firefox, a free Web browser. Firefox is created by a global non-profit dedicated to putting individuals in control online. Get Firefox today! Mind-mapping tool that is so very easy to use. This is the one we use to produce the mind-maps in our products. FreeMind – free mind mapping softwareFreeMind is a premier free mind-mapping software written in Java. The recent development has hopefully turned it into high productivity tool. We are proud that the operation and navigation of FreeMind is faster than that of Mind Manager because of one-click “fold / unfold” and “follow link” operations. Monitor multiple domains from one account. Checks websites every 60 seconds. Email notifications if website is down. Tracks Up-time Statistics. Free Web Monitoring: Your Free Web Site Monitoring ServiceFree Web Site Monitoring. Monitor your web site's availability 24 hours a day, 7 days a week with instant email alerts and weekly web site performance statistics. Submit your website to the Top 20 search engines with a single click of your mouse. Free Web Submission: Free Search Engine Submission and Site PromotionFree Web Submission is the source for free search engine submission. We provide webmasters and site owners with free manual and auto submission to the highest-rated, free internet search engines and directories. Chrome BrowserGoogle Chrome is a browser that combines a minimal design with sophisticated technology to make the web faster, safer, and easier. KompoZer – Easy web authoringKompoZer is designed to be extremely easy to use, making it ideal for non-technical computer users who want to create an attractive, professional-looking web site without needing to know HTML or web coding. Launchy: The Open Source Keystroke LauncherLaunchy is a free cross-platform utility designed to help you forget about your start menu, the icons on your desktop, and even your file manager. This office suite replaces the OpenOffice project, previously owned by Sun Microsystems. This software is Open Source. With this office suite, you can Export To PDF as a built-in option. LibreOffice 4.1 is here!LibreOffice is the free power-packed open source personal productivity suite for Windows, Macintosh and Linux, that gives you six feature-rich applications for all your document production and data processing needs. One of the most reliable tools for removing Malware from your computer. Every Tuesday night at 7pm EST, Sam England and Bill Platt invite a top marketer to sit down with them and share information and training in a “no-pitch format”, with their audience. GoToWebinar : Webinars Made Easy. Award-Winning Web Casting & Online Seminar Hosting SoftwareWebinars, Web events & Web casting made easy. Set up Webinars quickly and easily for up to 1,000 attendees. Try it free today! Search for available domain names, using two words and/or hyphens. Domain Name Search – Find Domain SearchDomain name search, domain name generator. Find domain names, domain search, domain name search and registration. Best domain name search, company domain name generator. Find domain names. Domain name search – domain search. Find domains – available domain names lookup and website name generator. Keyword discovery research services toolOne click keyword discovery research tool that finds profitable niches along with long-tailed keywords. Apache OpenOffice – The Free and Open Productivity SuiteThe official home page of the Apache OpenOffice open source project, home of OpenOffice Writer, Calc, Impress, Draw and Base. Open Source Web Design offers free web design templates. Currently over 2000 templates available. Open Source Web Design – Download free web design templates.Download and upload free web designs. pdf 995: create PDF documents easily for freeThe pdf995 suite of products – Pdf995, PdfEdit995, and Signature995 – is a complete solution for your document publishing needs. It provides ease of use, flexibility in format, and industry-standard security- and all at no cost to you. Pdf995 makes it easy and affordable to create professional-quality documents in the popular PDF file format. Nitro's free PDF to Word serviceUse Nitro's industry-leading PDF-to-Word converter to create better quality DOC files than the alternatives. Convert your PDF files right now – free! See what each PHP function does and how to construct the code. Find categorized PHP code, tutorials, and functions for free or paid that you can use on your websites. PHP Resource IndexDiscover more than 4,000 PHP-related resources including scripts, software, code snippets, tutorials, development tools and more. Find out what's available in one of the most widely used scripting languages in the world. Open-source analytics software that competes on a level playing field with Google Analytics. There is no need to share all of your Business Intelligence with Google. Free Web Analytics Software – Analytics – PiwikPiwik is the leading open source web analytics platform that gives you valuable insights into your website's visitors, your marketing campaigns and much more, so you can optimize your strategy and online experience of your visitors. Great for web designers – just point to a color and it will tell you the code value for that color. Research any of your competitors and discover the demographics of their audience, as well as other statistical data. Quantcast: Measure + AdvertiseQuantcast provides free measurement of audience demographics and delivers real-time advertising. Search our site for web and mobile traffic and stats. Test how a website looks in a number of cell phones. Resell Rights Weekly :: Free Private Label Rights ProductsDiscover The Totally FREE Membership That Gives You Hundreds Of Dollars Worth Of Hot Selling Private Label Rights & Resale Rights Products AND Lets You Download Brand New Products Every Single Week! YOU Keep 100% Of The Money! Do keyword research and competition research on any website. Top recommendation. Macro software | Text Replacement & Typing Macro | Keystrokes For Windows – ShortKeysType faster and reduce errors – Shortkeys provides you macro software, text replacement & text expansion software programs. Skype – Free internet calls and online cheap calls to phones and mobilesMake internet calls for free and cheap online calls to phones and mobiles with Skype. Sign up today and discover a whole new world of staying in touch. TextPad – the text editor for WindowsTextPad is an award winning text editor for Windows. Download a free evaluation copy, to discover the powerful features that will increase your productivity immediately. Includes a 13-language spelling checker, syntax highlighting, macros, workspaces, WordStar, Brief and MS editor emulations. Can be used to edit any plain text files, including HTML, Java, C, Pascal, Fortran, LaTeX. Turn any web page into an image. Reverse Image Search. Input a URL or file, and Tin Eye will locate and identify other copies of the image in use on the Internet. TinEye Reverse Image SearchTinEye is a reverse image search engine built by Idée currently in beta. Give it an image and it will tell you where the image appears on the web. Find more people to follow on Twitter and FaceBook, and provide an opportunity for others to find and follow you. TwiendsTwiends helps you grow your audience on Twitter and Instagram. We are the leading directory of Twitter and Instagram users, and we give you an awesome social home page too! Convert any web page into an image. Real-time rendering. Non-branded images. API available. This website will let you check a file or a URL for virus payloads in the source code. VirusTotal – Free Online Virus, Malware and URL ScannerVirusTotal is a free virus, malware and URL online scanning service. File checking is done with more than 40 antivirus solutions. Files and URLs can be sent via web interface upload, email API or making use of VirusTotal's browser extensions and desktop applications. 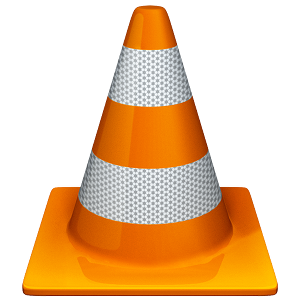 VideoLAN – Official page for VLC media player, the Open Source video framework!Official page for VLC media player, the Open Source video framework!